Big Brother 19 spoilers tease the week 3 Power of Veto was played one day early to accommodate the Battle Back competition it was Jason who won POV. Alex Ow, current Head of Household, nominated Dominque Cooper and Jessica Graf for eviction earlier. Almost right after the nomination ceremony, the houseguests had to draw names for the POV competition. BB19 Production team told them the competition would begin in less than an hour. Not long after that, Big Brother 19 spoilers revealed that Alex, Dominque, Jessica, Christmas Abbott (Can Christmas even compete? 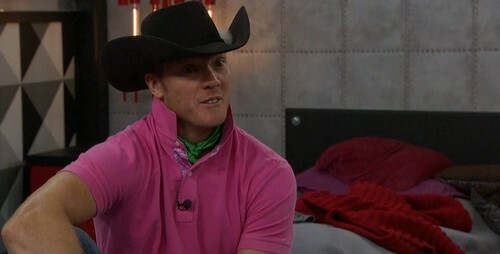 ), Jason Dent, and Kevin Schlehuber would play in the POV competition. Paul Abrahamian will host the challenge. Big Brother 19 spoilers indicate that Christmas and Jessica have a chat and agree to put their differences behind them and work together. Jessica seems to be trying to mend friendships and gain people’s trust. If she can survive this week 3, she may be able to go far. Flashback to 8:57 p.m., Kevin tells Jason that they need to convince Alex to target Matt Clines next. They agree that Matt cannot be trusted. They wanted Alex to put him up, but she didn’t feel comfortable doing that. In another room, Dominique sits down to chat with Paul, Mark Jansen, and Elena Davies. Big Brother 19 spoilers reveal that she feels like she was betrayed and singled out by the nomination. It all seems to center around the three votes to evict Ramses on Thursday night. Big Brother 19 spoilers indicate that everyone expected Cody to go home with only one vote against (Jessica’s vote) to go to either Alex or Ramses. So, when two extra players voted for Ramses, Dominique figured someone within her alliance was lying to her about their vote. What’s worse is in the middle of Dominique’s meltdown, she tries to say that getting her out could be racially motivated – she pulls the race card, desperate much! 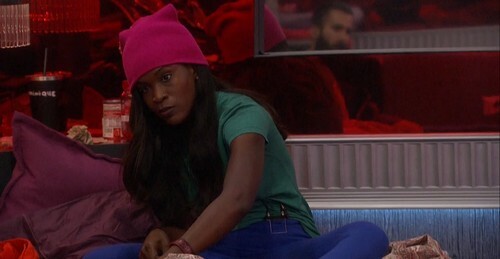 Dominique implies that every season, the house targets the black woman, adding that they “hardly ever” make it to jury. The truth is she was nominated because Alex believes that she voted out Ramses Soto on Thursday. Big Brother 19 spoilers state that Alex told Jason and Kevin to win the competition. She isn’t sure if she wants to backdoor someone or if it’s time to send Dominique out of the house. Flashback to July 15 12: 30 a.m., Big Brother 19 spoilers revealed that Jason won week 3 POV. 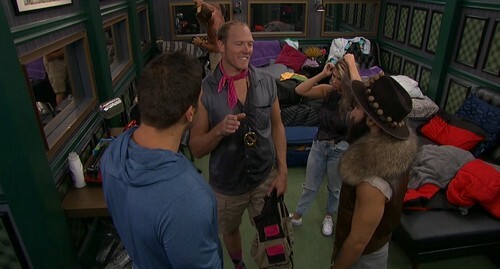 Jason said a few hours earlier that if he won, he might save Jessica from the chopping block. However, if he saves Jess, Christmas will likely go up and could go home. Are you happy won the POV? Do you think Jason will use it save Jessica or Dominique? Don’t forget to come back to CDL later for more Big Brother 19 spoilers, news, and live feed updates!